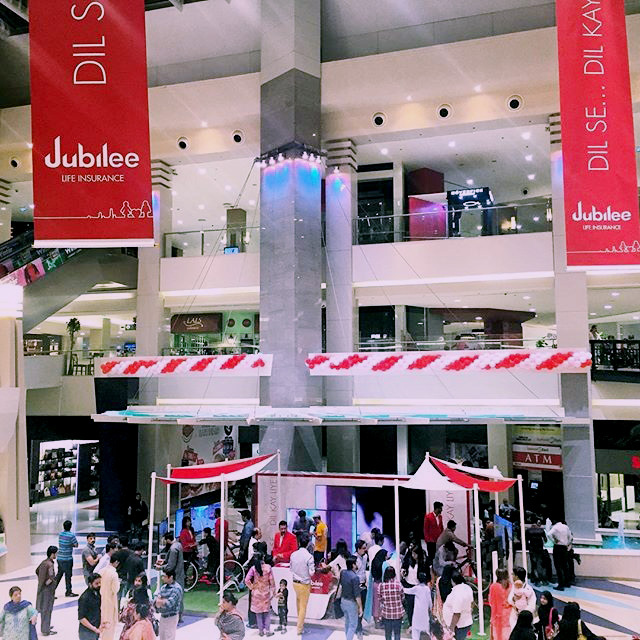 Yesterday at Dolmen City Mall, Clifton Jubilee Life Insurance organized an activation program for the launch of its new life insurance plan with built-in cardiac financial assistance. Jubilee Life Insurance gives you an coverage up-to 5 lacs for minor cardiac issues, not charging it from your premium amount. The activation program started at 7pm. They setup a little cycling activity so the people can know how healthy they are. Lots of people have participated in this activity with their families and the workers at the activation program answered their questions about the new Jubilee Life’s Insurance plan. This activation program will continue till this weekend. Do visit Dolmen City Mall to know if you are at the risk of cardiac disease. More info can be found here.